Prior to moving to the islands in 1994, Brenda had an extensive medical career in a highly specialized field of radiology. Once here in Hawaii, she excelled in the world of construction and design, owning and operating her own construction company. Brenda's vast and varied background has instilled in her an extremely high level of discipline, attention to detail, and diligence for excellence. Her repeat customers and referral following are proof of her 15+ years of success in the mortgage business. In fact, her level of customer care and attention has earned her the coveted spot as one of Honolulu Magazine's Top Mortgage Professionals in 2014. On her off time, Brenda enjoys days on the water, skiing adventures, baseball, and simply living the Hawaii lifestyle. She also cherishes time with her family and the joys of being a parent to her son. An Interesting Fact About Brenda: Brenda and her family hit the slopes every spring in Colorado! "Our realtor, Luke Korkowski, suggested we contact Hawaii VA Loans for our loan; Specifically, Brenda Carr, who is just wonderful! She was detailed in her explanations and made us feel extremely comfortable from the very start. Any and all of our questions were answered quickly and in a way that we didn't feel embarrassed or that we should have already known the answer. Everything moved so fast because of her attentiveness and her clear instructions. She reached out to us consistently and gave us the attention and assurance my husband and I wanted with this home purchase. She even contacted the listing agent to make sure he didn't have any questions about using a VA loan or the process that goes along with it (which he did). Brenda even made sure she was in contact with us while she was on the mainland with family. She certainly makes you feel at ease when dealing with such an enormous life event. I would recommend Hawaii VA Loans, and am so appreciative of the support given by Brenda Carr and this company!" "We would not have been able to purchase the property without Brenda...Hands down. From the beginning, before we even met…She was working hard and paving the way for us. She advised us to front load as much paperwork as possible...Lining everything up so she could secure the loan approval letter whenever we needed. Once we found a home, we needed to move quickly as it is a highly desirable property…Within 2 days of viewing the home, we were locked in and were under contract before any other potential buyers were even able to view the property. This is in no small part due to Brenda being able to demonstrate funding to the seller within minutes. The sellers ended up getting multiple backup offers on the property, all above asking price...Some offers sight-unseen. Had it not been for Brenda’s speed of motion and expertise, we would have given up precious bargaining time and lost the bid. Once under contract, she helped us to skillfully navigate the VA requirements…As the house has some unique characteristics (CPR regime/off-grid solar/water catchment/agriculture zoning, etc…). 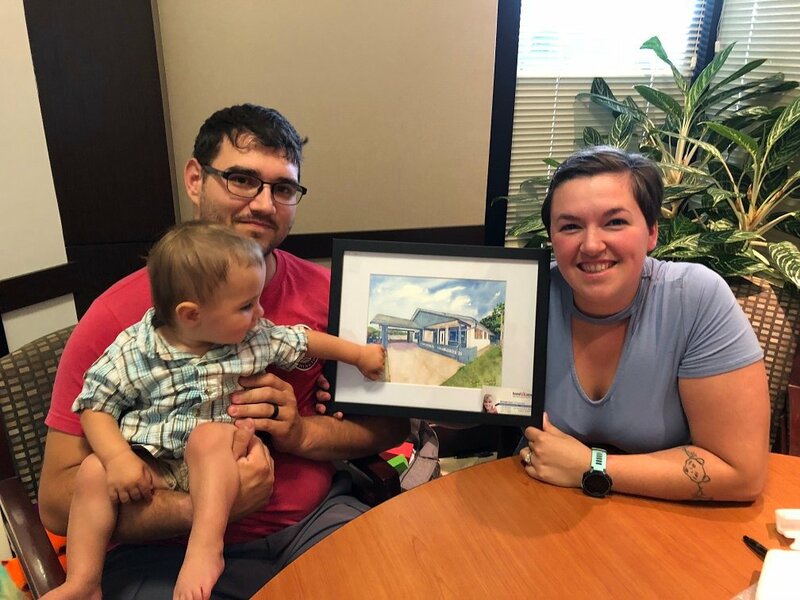 She worked with both our agent and the listing agent to make sure everyone was in concert, and that the end goal was to get us into a home…Even if that meant completing tasks not usually performed by the loan officer. We are first time homebuyers, and we will forever be grateful that Brenda was able to get us into a home that we will cherish for a long, long time. Thanks so much, Brenda. Truly." "Brenda Carr, our VA lending specialist is absolutely amazing! She made our home-buying experience in Honolulu, Hawaii so easy and seamless that we even closed earlier than expected. She answered all of our questions promptly and thoroughly and provided any resources that would help us. She always made herself available and guided us through the process. She went above and beyond. Hopefully Brenda will still be around to assist us again when another opportunity arises. She rocks!" "It was a joyful and pleasant experience working with Hawaii VA Loans. Brenda Carr handled everything very professionally, but on the other hand, I could talk and joke around with her like she was an old friend. Brenda walked/talked me through all the steps I needed to complete, in order to go through the process very smoothly. There was one part that I had the hardest time printing out the documents and Brenda had no problem with printing and faxing me that information. I am so grateful, so appreciative, and so lucky to have such an outstanding friend like Brenda. I can't thank her enough. Again, I would like to thank Brenda Carr and Hawaii VA Loans for a wonderful, pleasurable, and exciting experience. I couldn't have done it with out you. I Love You and Thank You so much." "My family had an amazing experience. We shopped around for different lenders and even when we found a lender with a slightly better rate we chose to go with Brenda. She provided us with an unparalleled level of education and compassion as we had no real understanding of what we were getting into. There was literally no point in the process where I felt I couldn't call her to get clarification. She processed our paperwork and had everything lined up in a matter of days. I cannot recommend her enough." "A million thank you's to Hawaii VA Loans! Shout out to Brenda Carr for being an amazing loan officer; incredibly knowledgeable, amazingly kind and patient and truly a pleasure to work with. Thank you to her and her team!!"